> Blog > Nouvelle page pour L'Essentiel de Lavande > Our 10 years anniversary facelift ! After 10 years of harvests, discoveries, meetings and creations, Essentiel de Lavande has grown a lot. A complete makeover was needed to better convey what we have become today: a highly specialized, state-of-the-art and elegant brand, developing the very best range of 100% natural cosmetics using organic pure essential oil of Lavender and Lavandin. We wanted to share the quiet beauty of the land reflected in the growth of our natural products and evoke the lavender color palette changes throughout the year: blue for the world of cosmetic care, straw for everything bath and purple for organic essential oils. Our essential oils and our entire range of herbal tea are now officially labeled organic. Our production has been organic since 2016 and you just didn't know it! We fine-tuned brand new formulas, still natural as always, to reinforce daily skin hydration and protection, and added new natural components to some of our products, such as brown seaweed, ivy extract and lavender honey. You can find these natural additions in the body lotion, cleansing lotion, shower soap and the liquid soap. - We created a lavender honey cleansing foam. The lavender honey combined with Aloe Vera bring antiseptic as well as soothing qualities to this cleansing foam and the added cornflower floral water is known for its decongestant attributes. - The organic true lavender essential oil 50ml spray bottle for easy use on pillows to help with insomnia. - The Hand Cream as well as the Exfoliating Cream are now packaged in a tube for easy daily use. Their content and formula stay the same. We have harmonized our preservatives with our Lavender and Lavandin that have natural antiseptic qualities. In our creams and emulsions, we add sodium benzoate, potassium sorbate, or benzyl alcohol which are all well known and accepted in organic cosmetics. 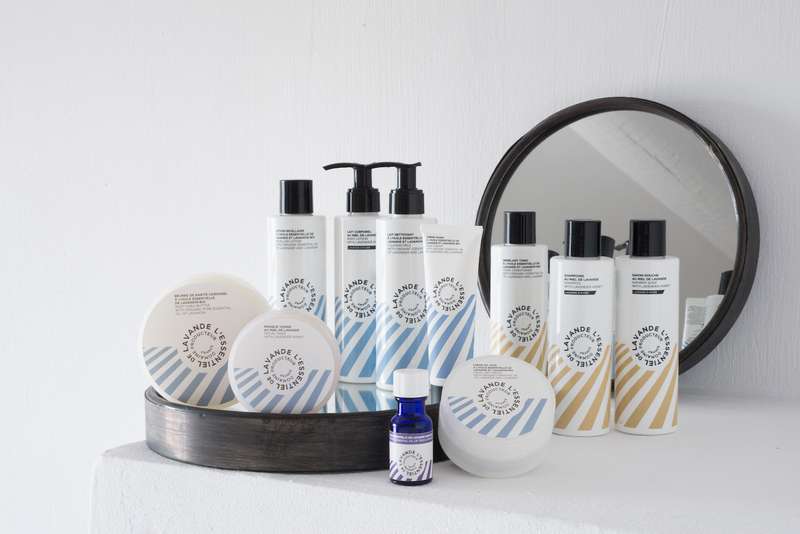 Our products do not contain any parabens, silicones, thiazolinones or hydrocarbons. No animal testing is ever performed. Enjoy our new user-friendly website that reflects better what we are today, with more information and a blog page we will feed year-round.